Lacy has been known to use 2 different scenarios to defraud her victims out of money: 1) She claims that her father (Jon Matthew Johnson) has a terminal (Stage IV) form of cancer. 2) She claims that she is the one with terminal cancer. 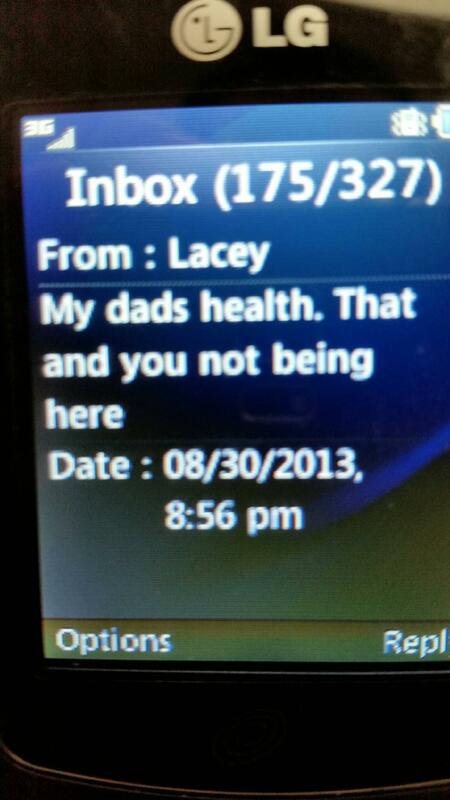 On March 31, 2012, Lacy told one of her victims via text that her father died from Stage IV Colon cancer. 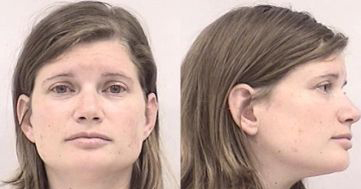 After Lacy was arrested in 2013, she posted bail and believed that she had found a new potential victim via Craigslist. She sent text messages (shown below) to this individual from the courtroom stating that her father had skin cancer growths. She also sent a "selfie" (shown below) of herself from the same phone number later that afternoon, proving that it was in fact her making these cancer claims. 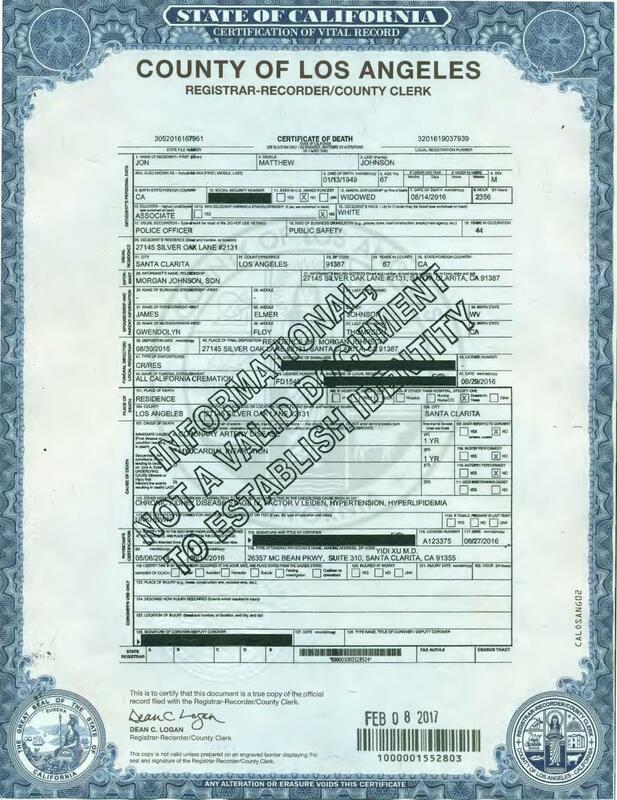 As you can see from her father's death certificate to the right (actual date of death: 8/14/16), Jon Johnson's cause of death was Myocardial Infarction (Heart Attack). At times, Lacy has claimed to be the one with terminal cancer. The images to the left/below are copies of receipts between Lacy and three of her victims. Each receipt was made with the intention of Lacy paying back these individuals money received to help with her treatment of cancer. 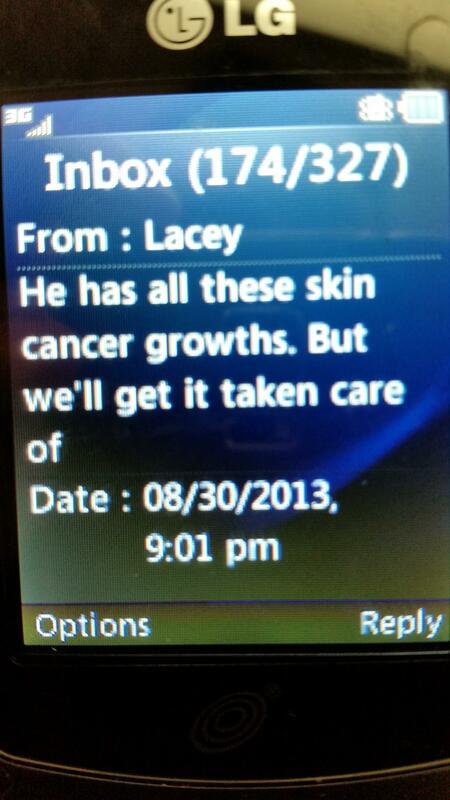 Again, Lacy has at no time ever had cancer.